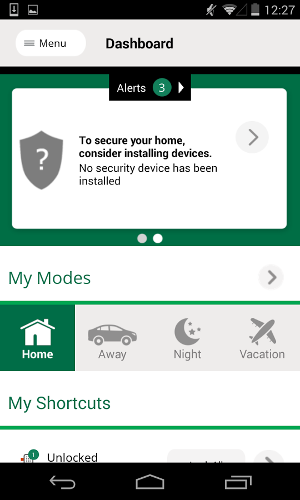 Home automation is the talk of the town nowadays. It doesn't matter where you go, you will see it in every home improvement store. There are so many flavors out there that it is hard to choose just which route to take. We would like to introduce you to a controller that wont break the bank and works pretty darn well. 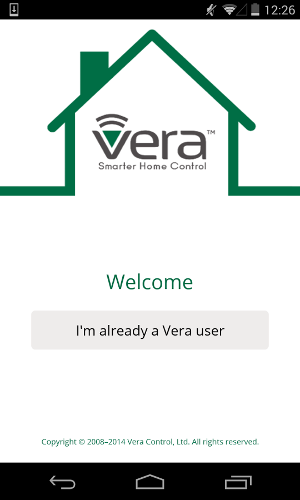 The Mi Casa Verde Veralite Home Controller by Vera (previously known as Mi Casa Verde) has been out on the market for quite some time. This controller just recently went on sale for about $99 due to the fact that Vera is ready to start selling its newer big brother, the Vera Edge, very soon. The Veralite supports the popular z-wave protocol that is one of if not the most popular protocol for home automation today in the US. The interesting thing about z-wave is how the devices create a mesh network in your home which means that the more devices you have the better the communication will be between all of your devices. The Veralite has a small footprint and an easy to use interface. It will allow you to control door locks, garage doors, lights, windows shades, thermostats, sprinklers, and many other devices. The veralite also allows you to view video camera streams which we thought was pretty neat. 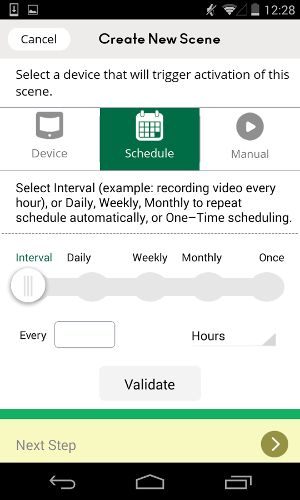 The veralite controller does not require a monthly subscription service and is a dream come true for the techy type of person because it allows for creation of plugins and or use of community plug-ins such as one made for DSC alarms that will allow you to control your alarm and all z-wave devices from one simple interface. The one feature that we loved that sets it aside from it's competitors such as the Wink Connected Home Hub , Iris Smart Hub , Smartthings Hub , and the Revolv are that this device does not need to interact with a server on the web to control your devices. 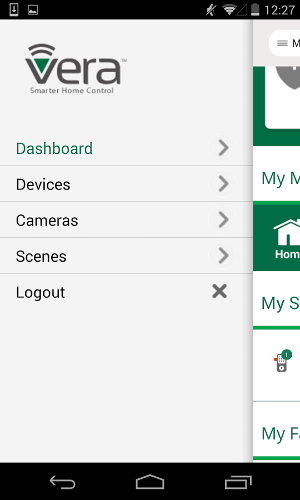 The controller stores all the information needed within your home so if you lose your internet at home you can technically still control your devices via your internal wifi connection. 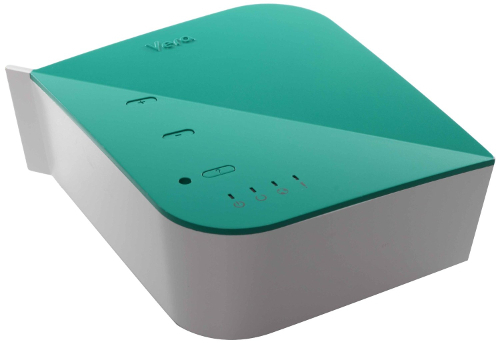 Vera also has the Mi Casa Verde Vera3 which is a little more powerful and has a builtin wifi router with 4 ethernet ports. Both devices have apps for both iPhone and Android native apps. Get your very own Vera controller on Amazon . 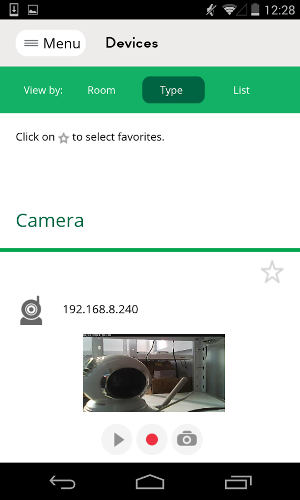 Here are some screenshots of the Android app, the apple iOS version is very similar.